Feel the speed, the celebrity, the superiority! 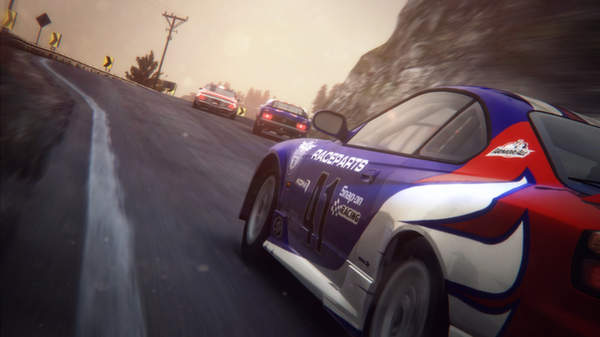 Exciting racing returned to GRID 2 - continuation of BAFTA award-winning game Race Driver: GRID with millions of fans. 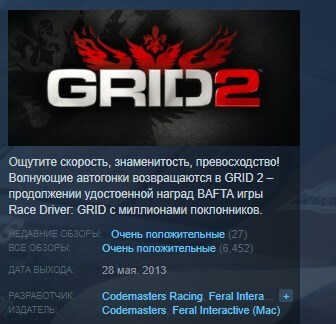 You will be an intense struggle for space, intelligent computer opponents and total immersion in the atmosphere of the race. With the new control system GRID 2 TrueFeel ™, bordering on reality, you literally feel like a pilot sets of legendary racing cars! Next-generation gaming technology EGO provides stunning graphics and stunning damage. Creative on three continents in a new dynamic world of motor racing: Conquer fame, fans and wealth, rushing forward to victory in intense, merciless racing licensed tracks, perfectly realized the city streets and the murderous mountain bends. 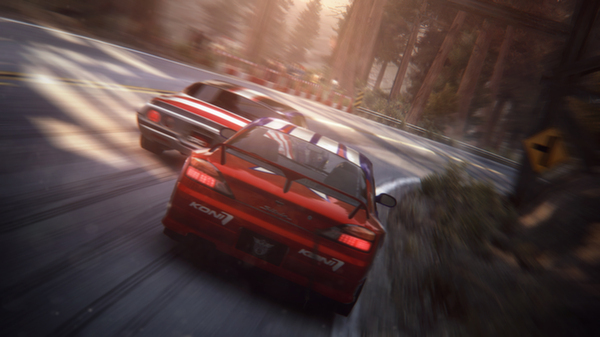 GRID 2 sets a new standard for multi-player races, offering innovative modes completely separate system of progress and integration with RaceNet, a free online addition to racing games Codemasters.